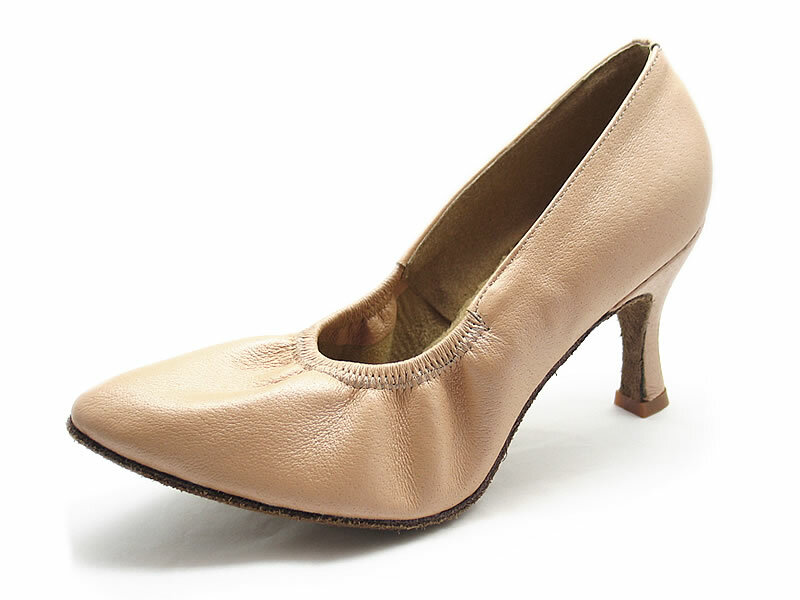 Beautiful lightly textured leather with extra tight fit for professional dancing. Added support for a sure fit from a delicate strap with adjustable buckle. Picture shows in light tan leather with 3"sf heel.